The year 2011 has been chosen to commemorate and celebrate "CHEMISTRY" by UNESCO and in this International Year of Chemistry, NCRM is proud to conduct an IYC 2011 official event as a part of NCRM NICHE 2011. This event is supported by the International Union for Pure and Applied Chemistry (IUPAC) jointly with UNESCO. Basic Research in Chemistry has contributed to numerous applications and accomplishments in Life Sciences, especially Regenerative Medicine. In vitro expansion of cells, Stem cells and Progenitor Cells being an integral component of Regenerative Medicine, Nanomaterials and Nanopolymers chemically synthesized which are easily reproducible compared to biological scaffolds and culture media have a major advantage in creating environments or NICHE in the in vitro conditions for optimal stem cell culture and tissue engineering. Dr Kazutoshi Haraguchi is an eminent Nano-biotechnologist. He is the Director of Kawamura Institute of Chemical Research, Chiba, Japan. 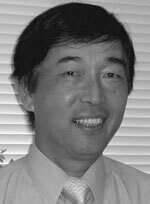 Dr Haraguchi has developed numerous bio mimicking nanomaterials including scaffolds for skin - tissue engineering and corneal regeneration. Dr Haraguchi is the lead author of several peer reviewed publications in nano-biotechnology and has many patents to his credit.